In the Orange Walk court today, a man was convicted for the second time for the crime of carnal knowledge. 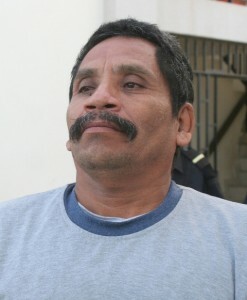 Romero Jimenez was found guilty of sexually abusing a girl who was twelve year old at the time of the incident. Sentencing is expected to follow soon. Christopher Rodriguez appeared for the crown and Simeon Sampson for the accused. The first time Jimenez was convicted was in 2010, for the carnal knowledge of a fourteen year old girl from San Joaquin Village. For the crime, he was sentenced to seventeen years, but that sentence was set aside and a retrial was ordered by the Judges of the Court of Appeal. 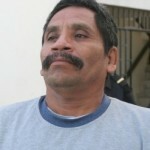 The young girl claimed that in July 2008, Jimenez raped her when she exited her bathroom at home. She was alone and the alleged incident was not reported until two months later on September twelfth 2008 when the child’s mother found out and took her to the Corozal Police Station. This case is a great example of what I have proposed here for a while — CASTRATE sexual predators upon conviction! This man would not have had a second victim if he had been “neutered” after the first one. PERVERTS CANNOT BE CURED, and if we won’t kill them, they should be rendered harmless. When will we learn? Is there not a single member of the assembly who will introduce a law to castrate rapists and child molesters? Why won’t they protect the most innocent among us from the most perverse among us? I honestly, and I fully agree with what you say above about castration. Children are so precious, we need to protect them at ALL cost. We all love them, we show them love , appreciation, they are so innocent and are not expecting what these wolves will do to them. If good people don`t get aggressive, we will never clean our society off of those WOLVES !!!! Solution: CASTRATION BY LAW OR LIFE IN PRISON WITHOUT THE POSSIBILITY OF PAYROLL !!!! Render them useless then lock them up and throw away the key or execute them.